Discover Greek islands aboard one of the crewed charter catamaran of our fleet. Our fleet is based in Athens and includes only catamarans, fully equipped and crewed by professionals. A Crewed yacht catamaran delivers the ultimate vacation. Complete with a professional captain and chef, you will enjoy spacious accommodations and a premium, personalized yacht charter experience. 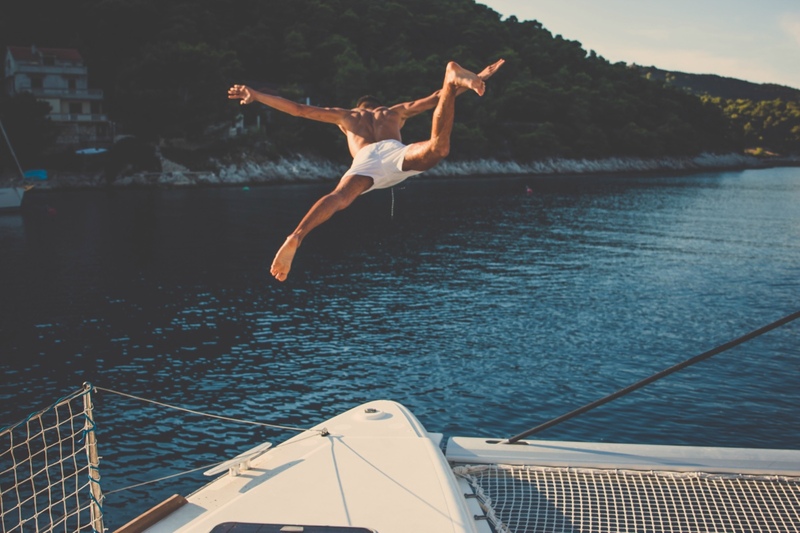 Our charter rates include the use of the yacht and the crew. All other expenses associated with the charter and the charterer are not included in the charter price and are payable by the Charterer. These expenses are paid via an up front APA (advance provisioning allowance) on top of the rate for the yacht. Its purpose is to enhance the level of services rendered, by allowing the client to remain un-distracted by day to day expenses. Is collected along with the second instalment of your calendar of payments. Οur company, in cooperation with the captain, has the responsibility to make payments and manage the APA, with due diligence, during the charter period, handing over at the end of the cruise, analytical receipts to the client.